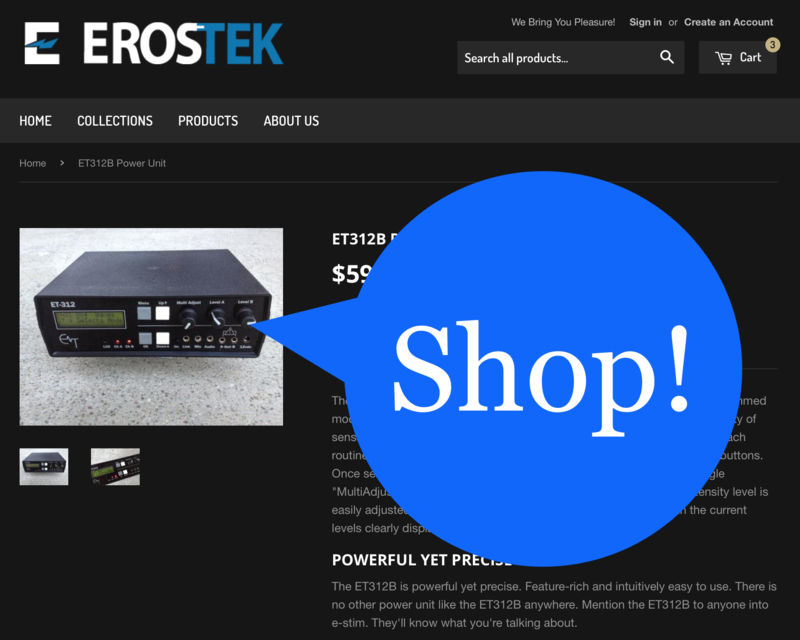 New ErosTek Online Store Now Open! New to STIM? Read our Getting Started Guide. The ErosTek Blog will continue to serve as an uncensored adult theme park while the new shopping cart takes on a slightly more restrained product focus. This is mainly done in order to comply with the host’s Terms of Service and yet also makes shopping more straightforward. Worry not. The Blog will continue to grow to become a repository of articles, videos, audioStim tracks and other musings designed to make your e-stim more fulfilling, safer and fun. Enjoy and let me know what you like and what you don’t.